With so much to do in Vancouver, there’s no reason to ever get bored! You can go hiking, participate in a race or marathon, visit museums or landmarks, check out sporting events, and so much more. However, if you are looking for something uniquely Vancouver, we’ve got that too! Here are 5 of our favorite unique activities to experience in Vancouver as the weather continues to warm up. A cruise along the breathtaking Sea to Sky Highway – renowned as one of the most beautiful drives on the planet – is an awe-inspiring attraction in and of itself. But this legendary route from Vancouver to Whistler is also filled with exciting stops at just about every turn. 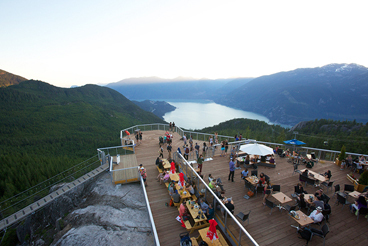 After an approximate one-hour drive from the city, pull over at the Sea to Sky Gondola in Squamish and take the scenic 10-minute ride up the mountain to the Summit Lodge. Here, you’ll find yourself at 2,900 feet above sea level, where visitors can opt to take in the astonishing panoramic views with a glass of wine in hand, explore the many hiking trails or take a walk along the suspension bridge. Conveniently situated next door to the Sea to Sky Gondola lays the base of the towering Stawamus Chief Mountain, known locally as The Chief. This enormous cliff face spans 702 metres above Squamish and is recognized as one of the largest granite monoliths on the continent. The Chief is home to a wildly popular hiking route that is split into three distinct summits, providing an intermediate-level trek complete with chains and ladders to help get climbers to the top. Also offering many rock climbing options, The Chief is the perfect day trip destination for lovers of outdoor adventure. 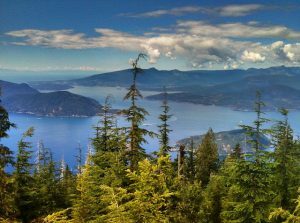 West Vancouver’s Cypress Mountain is only a 30-minute drive from downtown Vancouver and serves as a year-round hot spot for family-friendly activities. When blanketed in snow during wintertime, it’s a skier’s paradise – and once the sun starts shining, visitors flock to the mountain for hiking, cycling, picnics and wildlife watching. Whether you opt for a challenging hike or bike ride in the rugged wilderness, a quiet afternoon perusing low-key trails or a peaceful setting to have a bite to eat and take in sweeping views of the city, Cypress has something for everyone. For those searching for a leisurely day trip to kick back and relax, the Greater Vancouver suburb of White Rock provides just that. 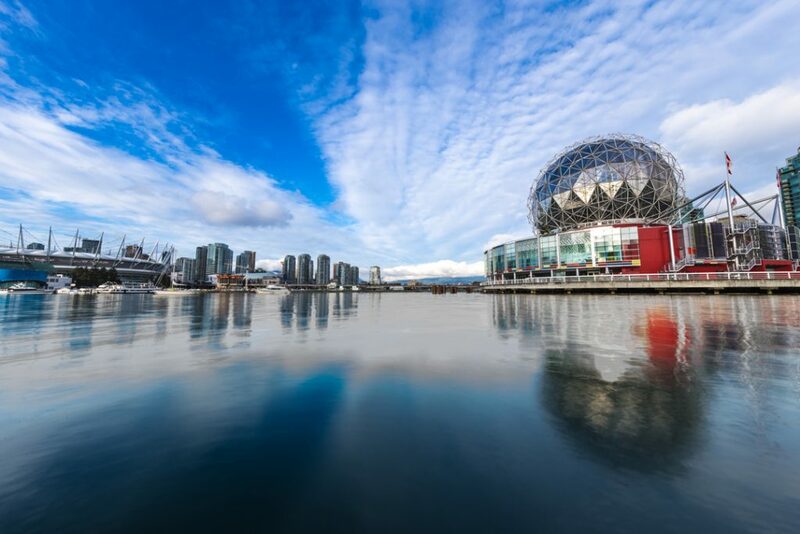 The area enjoys a welcoming beach town atmosphere and blissfully mild climate as a distinct part of the Lower Mainland that consistently sees sunshine, and offers a variety of activities for all ages. White Rock hosts an array of waterfront restaurants and local boutiques, making it ideal for a day of shopping and dining. 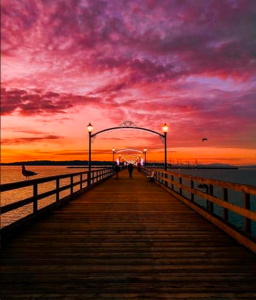 After dinner, grab an ice cream cone for a stroll down the seawall and accompanying pier, taking time to breathe in the fresh salt air and appreciate the striking ocean scene. Ready to hit the road? Visitors who stay at one of Stay Vancouver Hotels exclusive properties will receive an Esso Gas Card valued at $25, and those who book a three-night stay will receive a $50 gas card. To learn more, click here. Science World. Located in False Creek, the Telus World of Science’s silver geodesic dome has been attracting families since it first opened for Expo ‘86. Families can take advantage of a wide-range of offerings, including interactive displays (like playing a life-size piano with your feet), rotating exhibits and live science demonstrations. And don’t forget to catch a show at the larger-than-life OMNIMAX Theatre. At five storeys high and 27 metres in diameter, the theatre boasts a sensational wrap-around sound system – leaving movie-goers feeling like they’re right in the middle of the action. Bloedel Conservatory. This huge glass bubble is is one of the best kept secrets for escaping from a rainy Vancouver day, and it’s also one of the largest domed greenhouses in the world to boot. The indoor attraction is located at Queen Elizabeth Park, and is home to 120 exotic birds, 500-plus tropical plants, and a beautiful network of fountains, gardens and sculptures. Afterward, take a walk through the 52-hectare park and soak up the gorgeously landscaped gardens, or stop for a bite to eat at Seasons in the Park. Capilano Suspension Bridge Park. 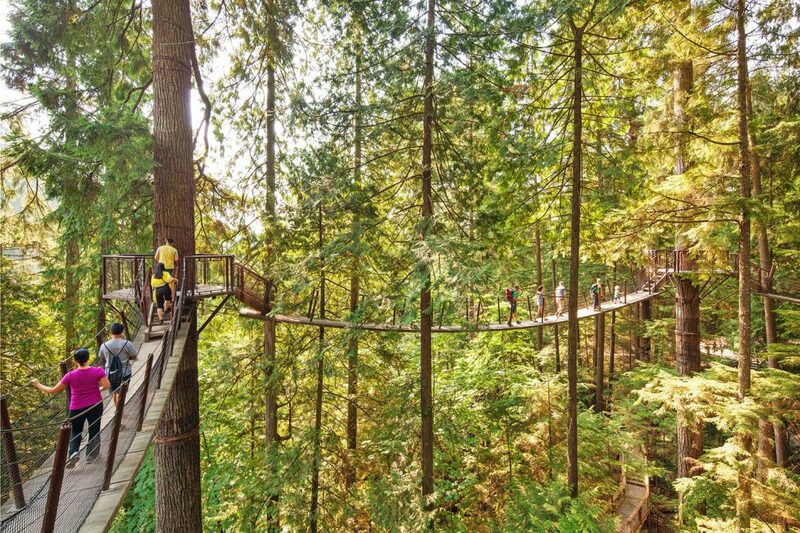 A quick 25-minute drive from downtown Vancouver, Capilano Suspension Bridge boasts a number of attractions throughout the park, including the iconic suspension bridge (towering 230-feet high and 450-feet long above the Capilano River), Treetops Adventure (a network of suspension bridges amidst the coastal rainforest), and Cliffwalk (a cantilevered walkway jutting out from a granite cliff face). History, culture and nature are presented in unique and thrilling ways throughout the park, making it a must-see stop for family members of all ages. Brittania Mine Museum. Take off with the kids for a trip along Highway 99, and soak up the Sea to Sky Highway’s majestic mountain and waterfront views. Along the way, you’ll pass by Shannon Falls and a number of top visitor attractions, including the Brittania Mine Museum. Here, kids and wannabe kids of all ages can hop aboard the underground train and uncover authentic mining tunnels, explore 10-acres of historic buildings, or take a fun and interactive guided tour to learn about mining and the history of Britannia. While you’re at it, roll up your sleeves and head to the gold panning station – you never know what you’ll find! 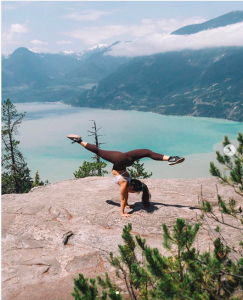 For those who want to continue their Sea-to-Sky journey, don’t miss the scenic Sea to Sky Gondola for panoramic views and a network of hiking trails before making your way back to Vancouver. Visitors who book through Stay Vancouver Hotels between now and May 15th will receive a $50 VanPass voucher for a single night booking, or $75 for a multi-night booking – gaining access to 20 of Vancouver’s top attractions and sightseeing tours. To book a stay with us, or view the full list of featured attractions, click here.